What may be particularly surprising and even shocking to many in the domain industry is that unlike the generics TLDs, the success of the brand TLDs really has very little to do with the domain industry at all. The reality is it has everything to do with massively improved cost efficiencies and commercial relationships between trademarks and their target audience both online and off. No matter how you want to cut it up, in every way you look at it dotbrands are going to be the real big winners over the next decade on the Internet, contrary to what many may think. From heavily lowered advertising costs to centralised marketing initiatives and vastly improved bigdata, dotbrands give trademark holders exposure on a global scale like nothing they have ever seen before in history. With better control and management of the trademark on the Internet, dotbrands are where the real money is going to be made. What ever you think dotcom makes from selling domain names will pale into insignificance when dotbrands unleash the full potential of their secret weapons. And if that wasn’t enough great reasons to have a dotbrand lets not forget that its a closed shop with only 500+ kids allowed in the sandpit. Trying to compare the success of the new generic TLD with the success of brand TLDs is the equivalent of trying to say that steam is the same as ice. Just because they both come from water doesn’t mean they are going to behave in the same way. I find it incredibly interesting that there is so much of a focus on what is happening in the generic world when really the BIGGEST, MOST SIGNIFICANT development since the invention of the Internet has to do with brands. By far the greatest invention to ever come to the internet since its inception has been to allow brands the opportunity to run their own slice of the internet. But still some people just don’t see it. Sometimes the most impressive moments in history have been brought about by the smallest and simplest ideas. 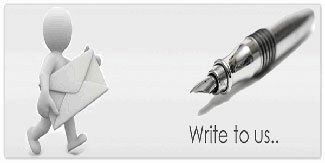 Take the paper clip for example or the pen or even email. Where would we be today if not for these small yet fundamentally significant inventions? Simple yet effective, life changing ideas that have impacted on our society is so many ways. No differently with online, the new dotbrand Top Level Domains are going to do exactly that. Many of those that applied for a dotbrand initially did so out of a defensive need to protect their Internet identities. As time has moved forward the bigger questions of what to do with their dotbrand verses their .com and what’s their compared value, has started to surface. What many seem to be looking for is something radically different from a technology or administrative point of view when in fact (just like the paper clip), a dotbrand is a very subtle yet a significant shift is how consumers will perceive a brand on the Internet. It seems to be a sticking point for many of the old school domain industry but dotbrands have nothing to do with a naming convention although that is what they are. A dotbrand is a far richer tool than that. Fundamentally it’s the fact that it is so simple that makes the dotbrand concept so truly amazing and potentially lucrative to the brands and their consumers. Purely owning a dotbrand for defensive purposes is like owning a Swiss army knife and only using the bottle opener, there is so much more you can do if you just look inside and get a little creative. Besides the obvious legal and technical advantages, a dotbrand provides the highest level of control of a trademark on the Internet you can get. The most important benefit of a dotbrand is the relationship brands can build with their customers. A dotbrand is about building direct digital bonds between a brand and those that have a close affinity with them, their customers. However once .com has been removed from the equation everything starts to make sense. Doors start to open, lights start to go and the creative juices start to flow like never before because a dotbrand creates new possibilities more in line with their brands ethos “if it’s not dotbrand, its not us. A dotbrand more closely resemble the very principles that bond a customer to a brand, thus making for a more personal, intimate connection. With a dotbrand the customer can feel like they are more than just a customer, they become a part of the brand and everything that makes it a success they can feel like in some small way they had something to do with it. Along with a dotbrand also comes a sense of responsibility, respect, trust and loyalty that only a dotbrand can develop. A dotbrand has the ability to bring about a feeling of a symbiotic relationship between the brand and their customers that cannot and will not ever be possible with a brand.com. That is the x factor that can only come with a dotbrand. Well the first thing to do is to just write it out and have a look at it, its ugly and partly irrelevant. The middleman “.com” waters down the relationship between brand and customer because dotcom means nothing to the consumer, its like wasted text on a short advert, you don’t need it so why have it? So which looks more visually appealing to you? offer.ferrari, product.ferrari, customer.ferrarri or ferrari.com/product? Which looks and feels more authentic, which is more memorable and which could be the brand and which is the brand? One can only be the brand, actually owned by the brand at the highest level of the Internet while the other is just bad advertising. A dotbrand means it is run by the brand, by people who work with the brand. One has a logical order about it that says we run our own slice of the internet and you can trust us. A dotbrand actually makes you feel like you are more than just a customer of the brand but an integral part of it existence while brand.com says your just another number.